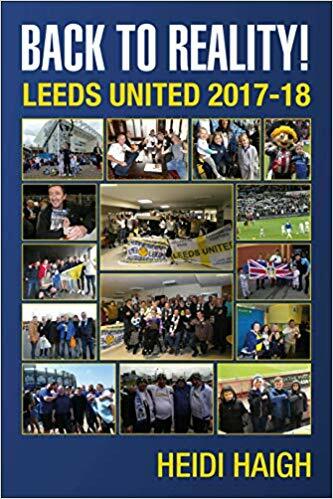 How far can Leeds United go in the EFL Cup? – Kit Poll: Which Leeds United Kit is the Best? As we set off for Elland Road it seemed such a long time since we’d had a game. With our last one being away from home at Norwich before the break for the internationals, the break had come at the wrong time for me. There again I’d be happy to ditch the breaks as I think it messes up the momentum in the league. I’d also rather have it that any far away games are scheduled for a weekend instead of midweek. I decided to ignore the lone magpie that jumped in front of my car; I wasn’t going to be superstitious today was I? It took us longer to get off the roundabout at Elland Road than it did to come down the M621. I thought it was because the fans’ coaches were arriving but it turned out to be their team at 11.45 am. With my daughter and granddaughter we headed for the Peacock which was packed out. With a sold out crowd today I knew it would be a waste of time getting served so didn’t bother. Lots of our fans had picked today as one of their choices despite the game being live on Sky. There was a large contingent over from Scandinavia and Ireland, although there are a few of them that travel over regularly. So Sky please note that you will still get high viewing figures with a full crowd; although this isn’t the end of the live games with more to come in the next few weeks. We decided to head into the ground earlier than usual and luckily for us the queues were very light. One thing I would like to take the club up on is why on earth are they stopping fans taking their bottles of drinks into the ground? Do they or do they not serve drinks in bottles in the ground? This is an absolute pointless exercise which only winds people up. Where is the respect for us as a support? When thousands don’t do anything wrong, please do not look to cause issues when there hasn’t been any. As it was 45 minutes to kick off, I couldn’t believe the last time I’d been in the ground this early. There wasn’t even anyone sat on our row! Lots of fans had been looking forward to this game although to me it was just another game but I still hoped we could win. With Newcastle being relegated last season it was always going to be a difficult game with all the money they’d had, but if we go out with the right attitude then anything could happen. There was to be applause on the 11th minute in remembrance of Gary Speed who played for both teams and his parents were both at the game. The team today was Green, Bartley, Taylor, Jansson, Ayling, Vieira, Phillips, Roofe, Doukara, Wood and O’Kane. Subs were Sacko for Doukara and Antonsson for Vieira. Attendance was 36,002 which for a full house was disappointing to see. Not for the fans who came, but when we had a capacity crowd in the past of over 40,000 it was a lot lower than expected. There were approx. 2700 Newcastle fans there. I loved the sound of the whole ground (apart from the 2700), singing Marching on Together at the start of the game. It is spine tingling and I was looking forward to having a good atmosphere today although recently, it is the smaller crowds that have worked better for that. We lost the toss and had to change ends which wasn’t a good sign. I couldn’t remember the last time this had happened either. Within 10 minutes of the start of the game though, the referee showed he had his colours nailed firmly to the Newcastle mast. As well as giving them loads of free kicks, some for next to nothing, he was letting fouls on us go unpunished. Unfortunately that always means the opposition go from strength to strength. As it was right from kick off we were put under pressure as Newcastle tried to make their recent Premiership experience tell. We kept giving the ball away and couldn’t seem to get a grip on the game. Newcastle were quick on the ball and not giving our players time so many mistakes occurred. On the 11th minute all the ground stood in unison for the applause for Gary Speed which was good to see. Green made a good save from one of their players at a time when we seemed to be holding our own. Newcastle then took the lead: I didn’t see the actual lob but saw Green back pedalling to his line as he’d been caught off it. He went to catch the ball but dropped it only for their player to get to it first to put the ball into the net. His lack of height probably told, but he should have tipped it over the bar rather than try to catch it. Damn, that sinking feeling because it seemed to come out of the blue, despite their pressure. It also put us on the back foot for the next 10 minutes at least. It also told on the atmosphere too as that familiar feeling of having the stuffing knocked out of you occurred. Just before half time though we had our best spell of the game and put Newcastle under loads of pressure and winning a few corners in a row. I didn’t see the actual handball that occurred in the penalty area as the ones in front of me raised their arms, but everyone was adamant we should have had a penalty at that stage. Getting that was the difference between getting a grip on the game but unfortunately for us the ref ignored our pleas and booked Jansson for his protests. This means he has reached five bookings so will be missing next week at Rotherham. The nearest we came was a header from Ayling that their goalie pushed over the bar. As it was half time came at the wrong time for us as we had upped the pressure and a few more minutes may have given us a chance to equalise. As the second half kicked off when we were attacking the South Stand we had a great chance to equalise but their goalie saved the shot. After a while, it became apparent that we were struggling in midfield. I shouted that Monk should change it as I couldn’t really see what tactics we were using. The one thing which I hate is the passing back to the goalie. This constantly puts us under immense pressure, especially when Green took such a long time with one clearance, that the Newcastle player was almost on his toes. They soaked the bit of pressure up from us but then seemed to waltz through our players and a cross came to their player in the box on his own to put them two up. It shouldn’t have been game over at that time as we should not have been scared of them but we couldn’t get any great momentum going and you couldn’t see us scoring. The feeling was that if we got one, we would get another but it was one of those games where you knew it wouldn’t happen. At the end of the game many clapped the team off but I was frustrated with it all and didn’t feel like it. I thought Monk’s tactics hadn’t worked and didn’t think he’d done enough to change the game with his subs. Yes I know Newcastle were top of the league but to be honest, I felt we gave them too much respect and didn’t keep the pressure on them enough. It reminded me of Leeds winning at Old Trafford in the FA Cup. Everyone was expecting us to get beaten but I said if you go with that attitude then you will be. That’s why they managed to win at home so many times as teams were beaten before they got there. It’s only the last few games that we seem to be passing back to the goalie again all the time but our best form of defence is attack. After the win at Norwich which was fantastic, today it was back to reality and normal service resumed. In this division though anyone can beat anyone so we just have to pick up the pieces and get as many points as we can. As we play Rotherham away in the teatime kick off next week, we will find ourselves on TV once again. Fingers crossed that we can get over the suspension of Jansson and injury to Hernandez but please Monk, no square pegs in round holes! We need to play to our strengths and play our players in their best positions. I know it doesn’t always work with the squad but it is telling in the way we play when we don’t. As we headed back to the car we found ourselves surrounded by approximately 15 lads in Stone Island/dark clothes. When one said in a thick Geordie accent are you a Leeds fan but not to anyone in particular, then why eye man, it took me back to the seventies immediately. Although they didn’t say anything to us and were just going past, I remembered the incident at St James Park when my friend Carole and I were chased by lads with knives on the way back to the coaches. Straight away the trepidation appeared as I tried not to start shaking. It may have been 40 years later; it may be nothing was going to happen, but it doesn’t take long for those old fears to appear. I was glad they carried up Elland Road as we went to the car because whatever happens I’d rather be surrounded by our own fans and not the opposition! See you next week, LUFC – Marching on Together!